If you're one of the many Americans traveling for Thanksgiving this week, you're in luck, at least in terms of weather. WASHINGTON — If you’re one of the many Americans traveling for Thanksgiving this week, you’re in luck, at least in terms of weather: Calm and clear conditions are to be expected for a lot of the region. Let’s break down this week and its events, so you know how to plan for weather the next few days. 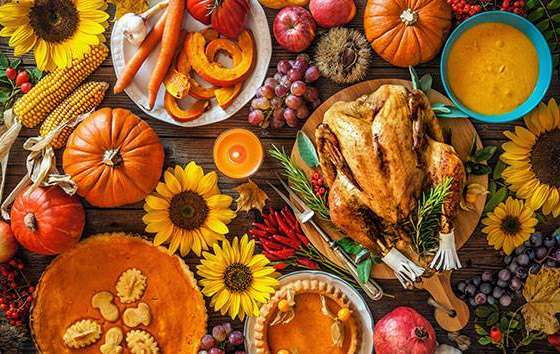 With Thanksgiving just around the corner, it’s time to finalize your menu. 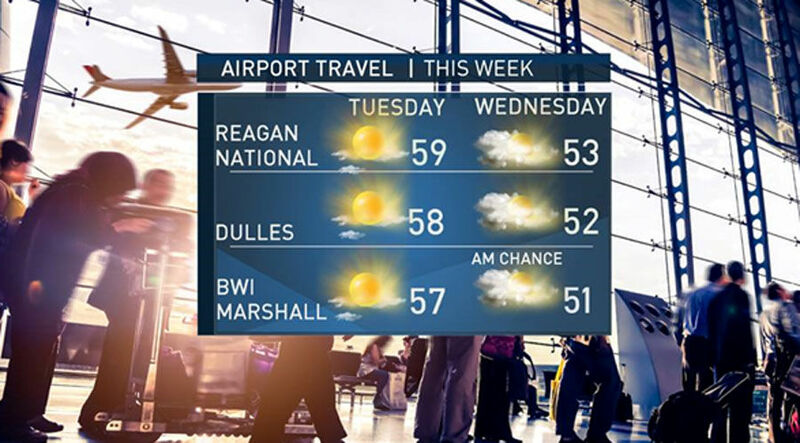 Besides the nice southwest breeze here in the mid-Atlantic, bumping temperatures to the upper 50s and lower 60s, Tuesday is looking fabulous for travel pretty much throughout the U.S. The only real problem spot will be the Pacific Northwest, where a warm front will bring periods of moderate to heavy rain through the day Tuesday. A cold front will scoot through the mid-Atlantic Tuesday overnight into early Wednesday morning (passing off to the Atlantic Ocean through 8 a.m. Wednesday). There could be a few light showers overnight Tuesday into Wednesday. In addition to the weak front pushing through the region by early Wednesday morning, an area of low pressure will bring some rain showers from the Carolina borders up toward Boston, mainly bringing some rain showers Wednesday to the eastern seaboard. That is why we will keep a chance of a shower early Wednesday morning if you are flying out of Baltimore. Other than that, you may deal with a few lake effect snow showers through western Pennsylvania and New York on Wednesday. Another frontal system will make its way through the Pacific Northwest, bringing more rain and some snow to portions of Washington state and Oregon. If you are headed to California, there could be a few light showers in the northern portion of the state, but prepare yourself for record-breaking heat through Southern California through Thanksgiving. If you are running some turkey trots Thanksgiving morning, get ready for some very frigid conditions. 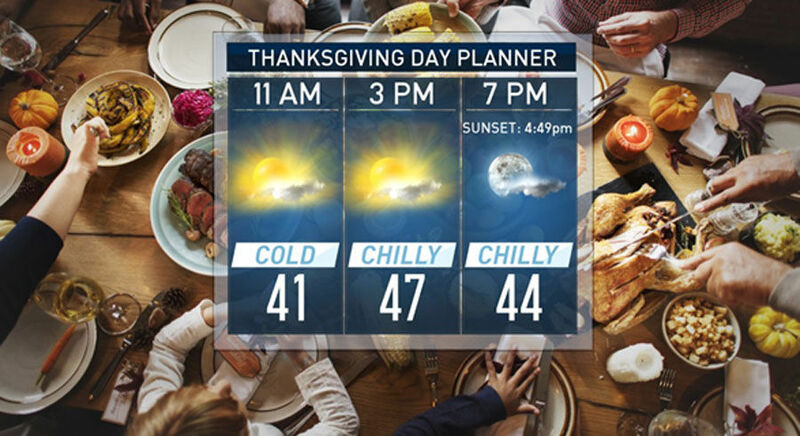 Temperatures across the region will be below freezing or just at that freezing mark as the sun comes up Thanksgiving morning; sunrise will be exactly at 7 a.m. Thursday. There will be plenty of sunshine and light winds. However, dress in those warm layers! Temperatures will gradually warm into the upper 40s on Thanksgiving. There will be plenty of sunshine and a much lighter wind across the region. Bring those layers! 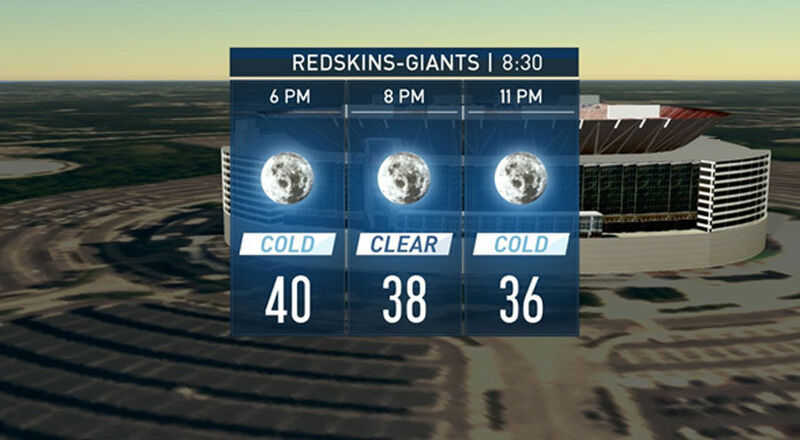 Once again, it is going to be a chilly night as temperatures slip under clear skies into the 30s during the Redskins vs. Giants game at FedEx Field. Expect clear skies with the sun going down at 4:49 p.m. on Thanksgiving night. 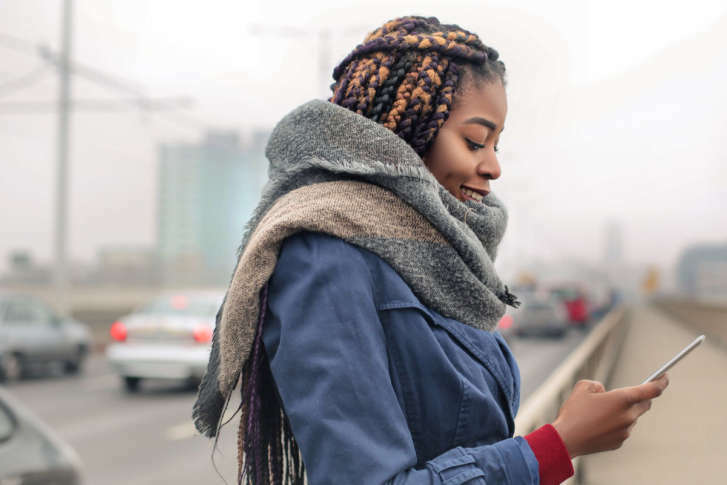 The area is starting off Black Friday on a chilly note, but that’s usually how it is to get those early bird deals done! Temperatures will be climbing out of the 30s/20s through the morning with sunrise at 7:01 a.m. Then, temperatures will be in the upper 40s/lower 50s with sunshine expected all day.